Victor Barnier is a super-spy in the James Bond tradition, but with a difference: he is Anglo-Italian, and he works not for a government agency but for a private security firm. 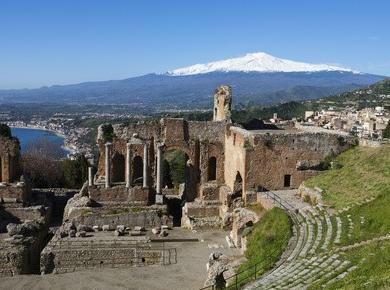 Hotel Caruso, the bad guys' stronghold that is just outside of Taormina-Sicily, is the name of Book One in the growing Victor Barnier Series. ...one of the Seniors, a group of ten agents tasked with the most top-secret and dangerous missions. All the elements of a Bond espionage book are present. We have the baddies, the secretive good guys, the expert assassinations, the evil mastermind, and the protagonist who is subjected to horrible suffering before finally winning out in the end. There is some disturbing violence in the book, pretty much on par with the James Bond novels. The writing style reminded me of John LeCarre's espionage book style, with a subtle shifting between an omniscient narrator and a 3rd-person limited narration. The prose is smooth and expert, with a few lingering typos that will certainly be weeded out soon. Victor Barnier gets a great intro at the beginning of the book, and he grows in depth as the book progresses. He is a damaged man, or he wouldn't be a professional killer, and he has a very surprising manifestation of his damaged nature, that I won't reveal, but which is sure to surprise readers. We get explanations of some of the causes of his damaged nature, and there are hints of more causes that are left for development in future books. Like all espionage books, Hotel Caruso begins with the our spy, then his mission, then the bad guys, scuffles, bigger scuffles, near defeat, then a resurgence of our hero, who wins in the end but at a cost to his sanity and health. He lives to fight another bad guy, another day, but life does not get any easier for our hero. All is accompanied by some cool techno-gadgets! 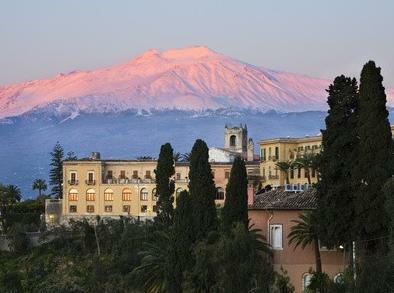 Much of the action in the book takes place in Sicily, just outside of beautiful Taormina in the shadow of Mount Etna. 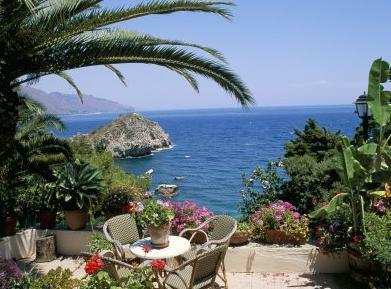 The bad guys' stronghold is actually a resort hotel overlooking the bay of Taormina. Illegal arms traders along the Mediterranean Sea set off the story, but with nice surprises and twists the story quickly builds into a mission to save the capitals of many nations. 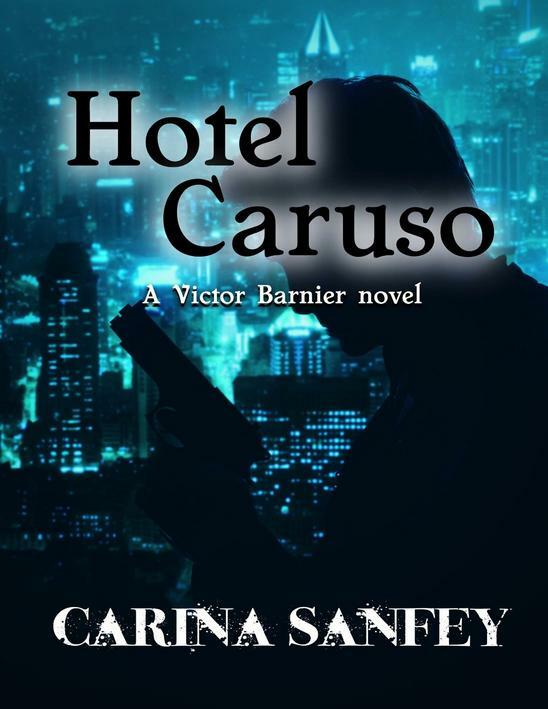 Hotel Caruso is for spy-novel fans! Victor Barnier is an experienced field agent working for SORN, an independent intelligence organisation based in London's financial district. SORN is trying to avoid being taken over by MI6; Barnier, who lives and usually works alone, is trying to avoid social interaction as much as possible. 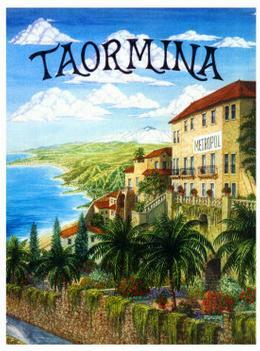 Sent to investigate an apparently corrupt hotelier on the eastern coast of Sicily, he doesn't expect to have to do anything more than a routine investigation, but he soon finds himself in his own personal hell as Robert Cole, a supposedly deceased arms smuggler and vicious killer from his past, comes back to haunt him with a shocking revelation about Victor's own childhood that will turn Victor's life on its head. 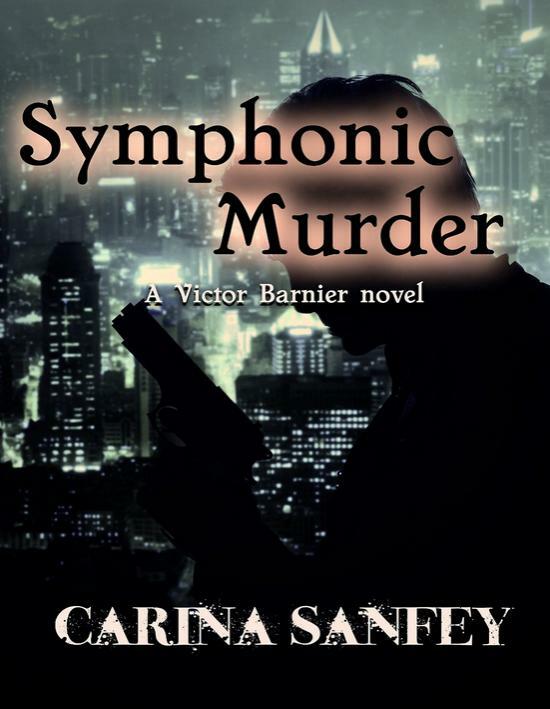 Victor Barnier, a secret agent working for SORN, London's unofficial intelligence agency, is sent on a mission to Shanghai which very nearly destroys his career. Can he redeem himself and, more importantly, stay alive?